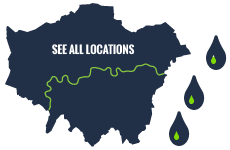 From emergency gas leaks to fitting new bathrooms, Expert plumbers London offers full plumbing and heating services. Boiler installations, repairs & servicing. We also provide one off repair & servicing for all boilers makes and models. Expert Plumbers are central Heating specialists. Is you central heating no longer warm or worried is not effecient. We offer fixed price quotes. Get your drains unblocked today. Expert Plumber will find and fix the cause of foul smelling and slow draining waste and rain water. Friendly and helpful. Fast reacting & skilled. Reliable and trustworthy fixed quote & servies. Gas safe plumber is the only option!